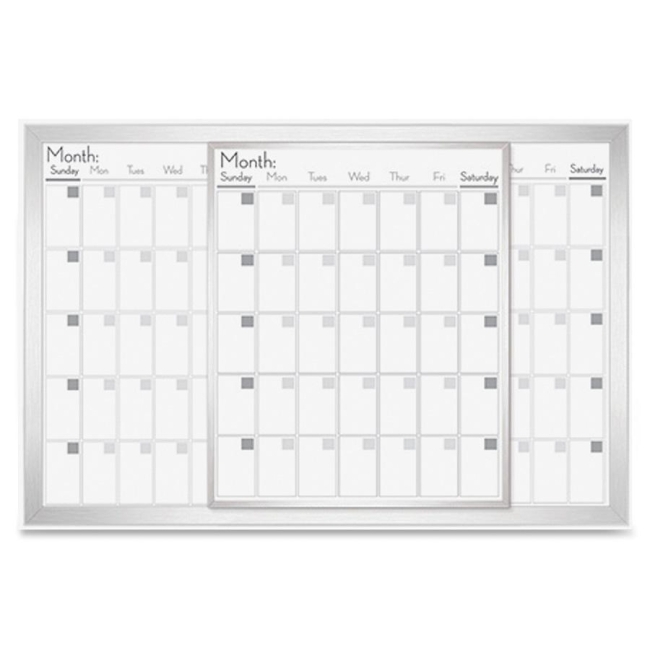 Magnetic calendar board provides optimal work space for planning over three months. Superior, magnetic dry-erase surface writes smoothly, erases cleanly and resists staining. A sliding, one-month panel snaps into place and over the other two months. Write in dates, reminders and more on the dry-erase surface. Tack on tickets and other items with magnets (not included). Each month includes unruled daily blocks with a place to write in the date and Sunday-through-Saturday scheduling. 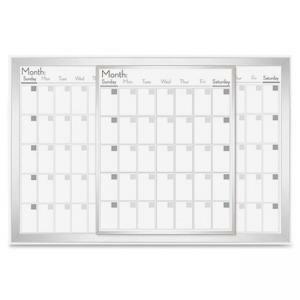 Calendar board also includes mounting hardware.